Sometimes I wish I was able to clone my blogging self, in order to have more time to write about all the topics that I’d love to cover. 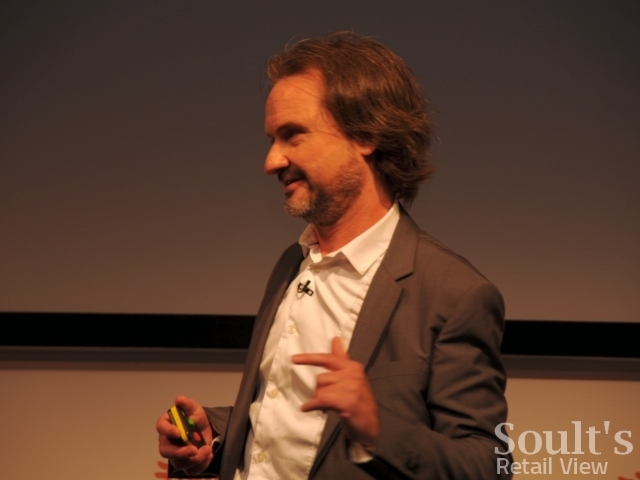 For example, following on from my first-day reactions to the Retail London Conference, there are still quite a few things from the second day of speakers – including ex-Tesco CEO Sir Terry Leahy – that I want to address in the coming days. Meanwhile, the news of Beales’ transformational purchase of 19 Westgate department stores from Anglia Co-op (ARCS), which broke while I was at the conference, is also definitely worth a blog, and has major implications for several North East towns: Redcar and Bishop Auckland, where Beales is acquiring the existing Westgate stores; Hartlepool and Blyth, where ARCS is keeping its Westgate stores – for now – as part of a rump department store estate; and even Hexham, where Beales already owns Robbs. More from me on all that, I hope, early next week. 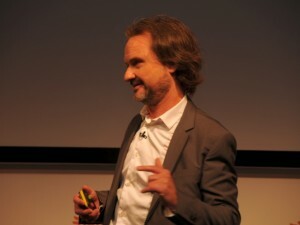 On the topic of Retail London, I was interested to see Howard Saunders from Echochamber kick off his speech on day two – about the retail implications of the global recession – with a photo of a closed-down Woolworths, joking that it was the first thing visitors saw when they came to London. His remark raised a laugh, of course, and there’s little doubt that images of shuttered Woolworths stores have become one of the most poignant and symbolic illustrations of the current economic slowdown. As you would expect, I used my spare time while in London to track down some more of those long-gone Central London Woolies sites. 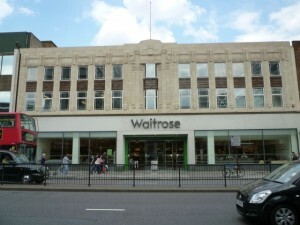 Regular readers may recall that in May last year, I snapped the former Woolworths in Edgware Road (#2031, now Waitrose), which managed to survive until June 2008, following it up in September with visits to the former Woolies in Victoria (#800, now Argos) and Kensington High Street (#162, now Uniqlo), both of which closed in the early 1980s. Most recently, in November, I returned to Kensington and tracked down the original store #162, further along the street, as well as capturing the former Oxford Street flagship (#161, now Uniqlo), the old Woolies in Brompton Road, near Harrods (#391, now Boots), and what I hoped was the long-closed store at High Holborn (#173). My first task this time was to return to High Holborn, to follow up a reader’s feedback after my initial visit. While that reader was able to confirm that I had indeed identified the correct property, they revealed that the building had been reclad rather than “pulled down” as 100thBirthday.co.uk had claimed. Furthermore, they pointed out that I’d missed the old side entrance around the corner in Grays Inn Road, with Argos now occupying a part of the building that hadn’t been externally remodelled since Woolworths’ departure. 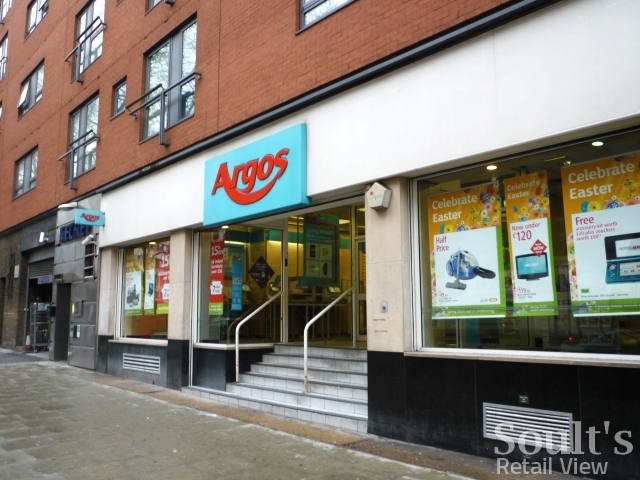 Sure enough, the Argos section of the building has ‘former Woolies’ written all over it, with its distinctive black stall riser and white tiled steps – quite a surprising survival for a store that closed as Woolworths in 1986. While there, I also crossed over to the opposite side of the road to get a better shot of the reclad High Holborn frontage. 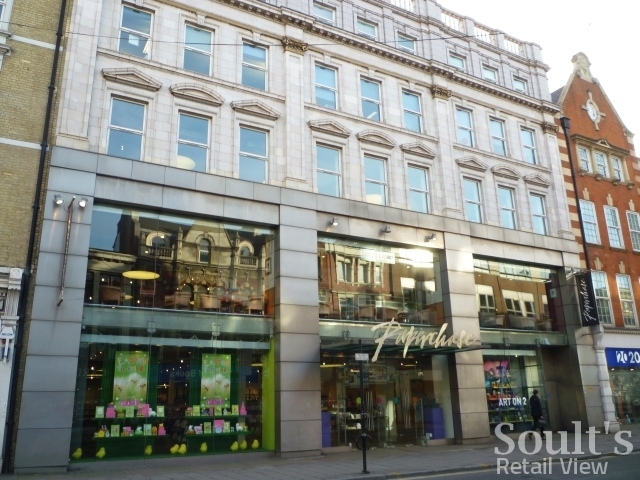 According to the reader, Woolies occupied the portion of the building that now houses Dorothy Perkins (previously Richards), Holland & Barrett (previously Clinton Cards) and Thorntons, as well as obviously the Argos section round the corner. 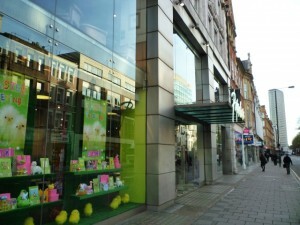 Reed and Robert Dyas, however, were apparently trading from their locations while Woolworths was still open, meaning that the Woolies store must have been basically L-shaped at ground-floor level. 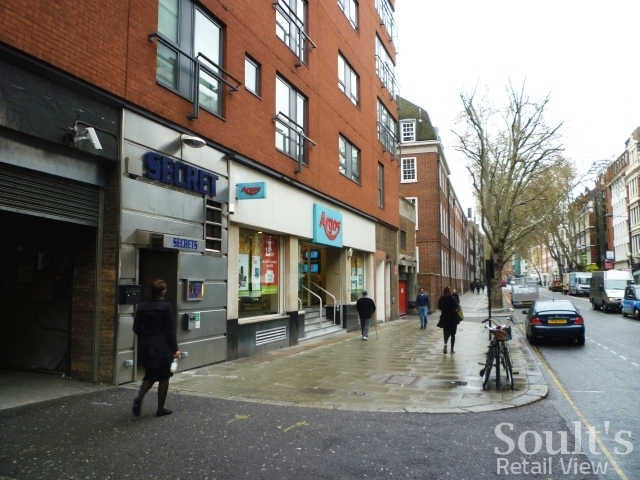 Continuing on to Tottenham Court Road, we have an ex-Woolies whose precise location – or even existence – seems to be a pretty hazy memory, judging from some of the online discussions about it. Thanks to the trusty New Bond, we know that there definitely was a Woolies store in Tottenham Court Road, as it’s referred to in my copy of the December 1958 issue. It was store #175 – suggesting a November 1924 opening – and appears as a line in the ‘Changes and Appointments’ section of the magazine, listing a Mr R W Parratt, who was the manager of #175, as having moved to become manager of store #602 in Norbury. The actual location is harder to pin down. One source suggests that it was the large property now occupied by a Paperchase flagship at 213-215 Tottenham Court Road, and this seems plausible looking at the building [UPDATE: It seems, however, that the Paperchase building was in fact NOT a Woolworths – see Rana’s comment at the bottom of this blog]. 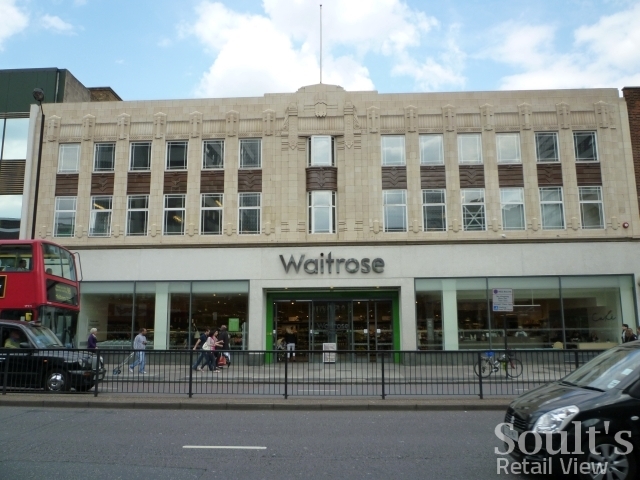 Its overall scale and symmetry, and the double-height shop frontage, are certainly redolent of other central London Woolworths branches, such as those in Oxford Street and Kensington High Street. The property’s page on Camden Council’s planning website also has links to some interesting historical documents, showing an application for major alterations in 1978, as well as a contemporaneous application for new Paperchase signage. 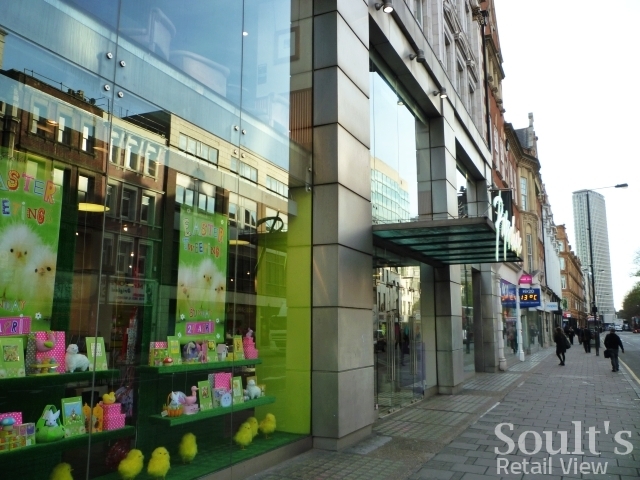 It’s not clear whether or not Paperchase was already in situ at that time, but a 1970s closure of the Woolies store would account for the hazy recollections, and fits with the types of locations that were being closed down at that time. Hopefully, as before, publishing this blog will elicit further memories that help us get to the bottom of the mystery. F.W.Woolworth Tottenham Court Road, store number 175, was opened on the 28th. November 1924 at 20/21 Tottenham Court Road.I believe that the Landlord at that time was a Viscount Gort and the lease was due to expire in 2004. The store was a two floor affair with a sweeping staircase at the rear of the ground sales floor leading up to the first floor sales area which had a Tea Bar at the far end. The road side frontage was 38ft 9in, sales floor depth of 100ft 9in and a sales area of 7,120 sq. ft. There was a basement stockroom.As a point of interest, the manager’s salary in 1954 was in excess of £3300.00. A great deal then and reflected proper management well rewarded. I was in Greys Inn Road a week or so ago and the Argos seems to be a new concept with tablet computers rather than catalogues. A couple of other ex woollies in London that I know are Stoke Newington which became Iceland and Islington which became Waitrose. so I grew round there. 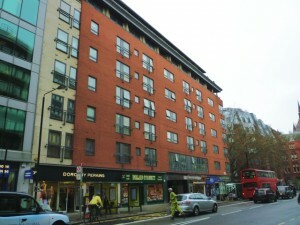 Tottemham Court Road – south side of Stephen Street approx where Brian’s Hi-Fi/Sony Centre & Samsung Centre now stand. The area was totaly redeveloped in the 1970s. There never was A Woolies in the current Paperchase – our restaurant was right opposite it – but during a brief period in the 1970s it did sell drums electric guitars etc. Oxford Street – One in the main HMV. Woolies left in 1978 and the site became “Oxford Walk” which contained small independants before HMV opened in 1986. 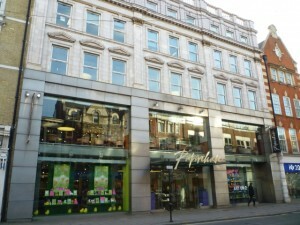 Second Woolies approx oppsite where BHS is near Oxford Circus. Yes – the one I’ve blogged about at http://www.soultsretailview.co.uk/2011/04/12/going-down-the-strand-the-old-woolies-near-simpsons-and-the-savoy/, I hope!